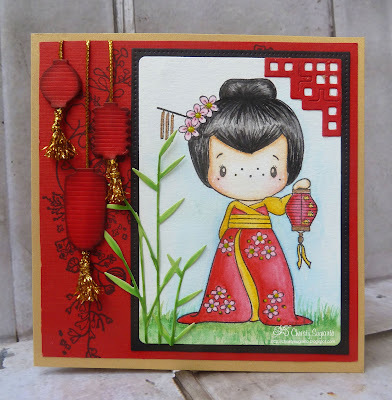 Today, I want to share with you my oriental card. 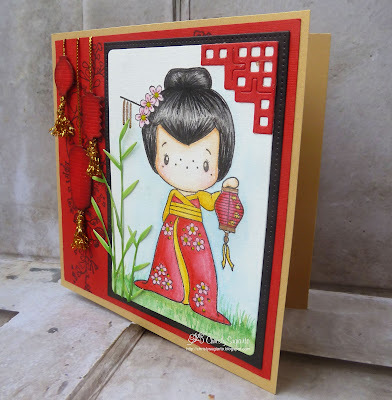 The image is CC Designs Geisha Emma. 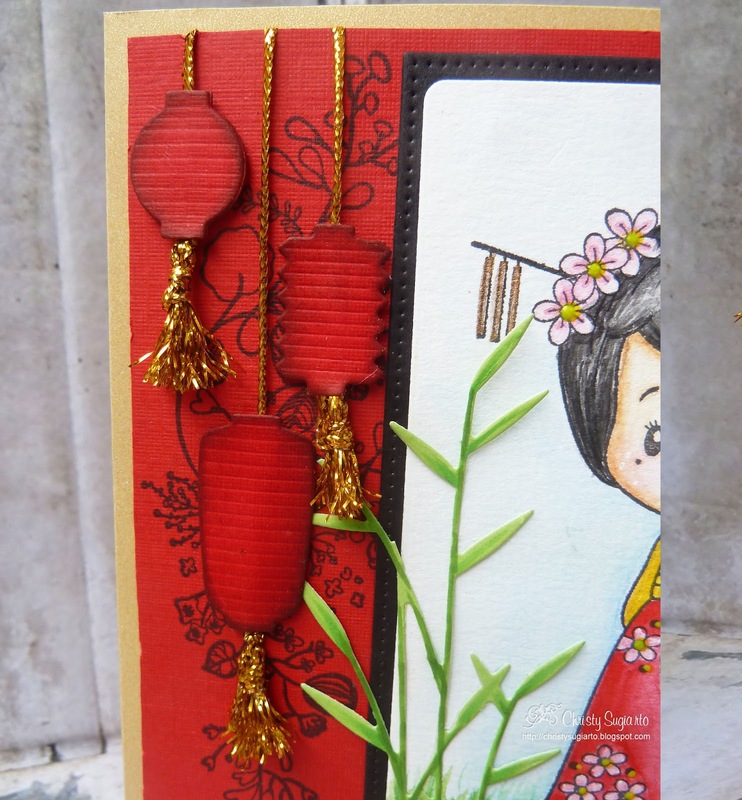 I thought it's suit with chinese new year in a few days. I water colored her with Kuretake Gansai tambi. and the corner die cut is from Tattered lace. I stamped the floral background with Kaiser craft stamp.